Did you know that most versions of Windows have more than one edition? In a computer store, most laptops on the shelf run Windows 10 Home, but there’s also a Pro edition with more features. Aside from these, Microsoft has also released limited flavors of some Windows versions. Just like Windows RT was a stripped-down form of Windows 8, Microsoft has just announced Windows 10 S Microsoft Unveils a Streamlined Version of Windows 10 Microsoft Unveils a Streamlined Version of Windows 10 Microsoft has unveiled a new version of Windows 10 called Windows 10 S. This is Microsoft's answer to Chrome OS, and the new streamlined version of Windows 10 is being targeted mainly at students. Read More as a lighter version of Windows 10. Let’s find out how this version differs from the established ones, and whether you should buy a device running it. Windows 10 S is a lightweight version of Windows 10 that’s designed to compete with Google’s Chromebooks. It’s the Windows 10 interface that everybody knows, but with one massive limitation: you can only download software through the Windows Store. Programs downloaded from anywhere else on the web simply won’t work. 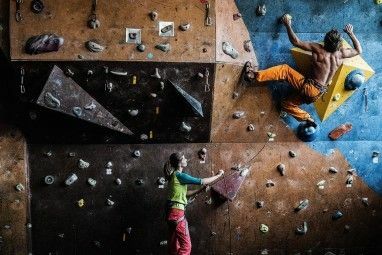 By limiting software to the Windows Store and preventing use of any browser except Microsoft Edge, Microsoft claims that Windows 10 S will be more secure than standard versions. Microsoft is aiming this operating system (OS) version at the education sphere 5 Problems in Education That Technology Will Soon Solve 5 Problems in Education That Technology Will Soon Solve Education has been stuck at a plateau for several years, plagued by several different issues that are seemingly unsolvable -- but technology has finally found ways around these problems. Read More , which is evident for two reasons. First, students benefit from the lockdown security features. Kids who don’t understand internet and computer safety can’t install rogue software on a Windows 10 S device. Second, Windows 10 S makes standardization easy in schools. 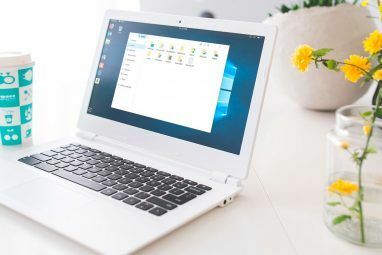 With fewer programs available, plus some enterprise features built-in, this version of Windows makes it easier to manage a large number of devices. If schools choose to do so, they can switch from Windows 10 Pro to Windows 10 S at no cost when it arrives. What Are the Benefits and Limitations? The biggest advantage of a lighter OS is that it runs faster, since fewer programs run in the background. Microsoft claims that Windows 10 S loads a user’s profile 15 seconds faster than the same machine running Windows 10 Pro. While we can’t prove this claim (hardware affects load time These Upgrades Will Improve Your PC Performance the Most! These Upgrades Will Improve Your PC Performance the Most! Need a faster computer but aren't sure what you should upgrade on your PC? Follow our PC upgrade checker to find out. Read More , too), it sounds pleasant enough. However, this isn’t really a “feature” so much as an effect. 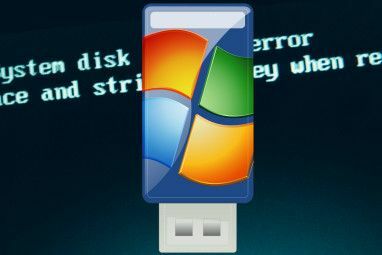 If you don’t have any desktop software installed that runs at startup Remove Windows Startup Items to Fix Your Slow Computer for Free Remove Windows Startup Items to Fix Your Slow Computer for Free Programs launching at boot can affect both the Windows startup speed and your computer's overall performance. Fix your slow computer by removing applications from auto-start. We show you how to catch them all. Read More , of course your computer isn’t going to take as long to boot. As a bonus, Windows 10 S devices also come with a free subscription to Minecraft: Education Edition and include Office 365 for Education. You’ll find several big limitations, though. As we mentioned, Windows 10 S doesn’t allow you to use any desktop software. Everything must come from the Windows Store. While there are some great Windows Store apps The Best Windows 10 Apps The Best Windows 10 Apps Windows 10 Store apps have come a long way. Meanwhile, you can choose from a considerable selection, free and paid. We have picked out the ones worth your while. Read More , we can’t imagine that any seasoned Windows user could get along with only Modern apps. Because you can’t download any desktop software, that means you’re limited to Microsoft Edge for browsing. While you could download a browser app from the Store, most big browsers (like Chrome and Firefox) aren’t available on that platform. Plus, since it’s stuck as the default, any links you click always open in Edge. Further, you can’t remove the Bing default search engine setting, so fans of Google should beware. Microsoft’s FAQ page also mentions Internet Explorer, so it’s safe to assume that old IE will be sticking around for Windows 10 S, too. However, it’s only for compatibility reasons — you should use Edge over IE given the choice. How Can I Get Windows 10 S? Windows 10 S isn’t launching until summer 2017. But once it does, you can’t purchase it online or on a store shelf. Instead, Windows 10 S will be pre-installed on certain devices. Thus, if Windows 10 S interests you, you should seek out a specific device made for this flavor of Windows. Notably, you can upgrade to Windows 10 Pro for a $50 fee if you decide that Windows 10 S is too limiting. While it’s nice to have a way out instead of being trapped in a stripped-down OS, we wish that you could upgrade to Windows 10 Home instead. Most people don’t need Windows 10 Pro’s extra features Is a Windows 10 Pro Upgrade Worth $99? Is a Windows 10 Pro Upgrade Worth $99? Windows 10 Pro offers more features, but also carries a $99 price tag to upgrade from the Home edition. Here's what you need to know to decide if professional features are worth the upgrade. Read More since they’re aimed at enterprise use. A $20 fee for upgrading to Home is more realistic for the average user. Since Windows 10 S is a recent development, only a few hardware manufacturers have announced machines built for it. Devices reportedly will start at $189. HP and Acer have each announced a cheaper copy of an existing laptop, with the only difference being the presence of Windows 10 S. HP’s ProBook x360 Education Edition has an 11-inch screen, 1366 x 768 display, 4 GB of RAM, and 64 GB of flash storage. These are similar specs to what you’d see in cheap Chromebooks How to Pick and Buy the Perfect Chromebook How to Pick and Buy the Perfect Chromebook Allow us to help you pick the right Chromebook for your needs. Read More . This edition is $299, while the standard one is $329. Is it worth saving $30 for a slimmed-down OS? Acer’s new laptop features similar specs, but is a better deal. The revamped TravelMate Spin B1 Convertible is also $299, and features a 1080p touchscreen with a stylus. Since the normal machine is $399, the $100 savings on the new model is significant. Microsoft has gotten into the game with its new Surface Laptop, too. Unlike the cheaper Chromebook competitors, this is a premium machine. It features a 13.5 inch screen and the same type of keyboard as the Surface Pro 4 keyboard cover. You can use the Surface Pen to draw on the screen, it features a new Core i5 or i7 processor, and supposedly has better battery life than the MacBook Air. While it’s certainly an attractive device, it has a price to match: $999 gets you the i5 Surface Laptop with 4 GB of RAM and a 128 GB SSD. It’s a pretty high price for less-than-average specs, and remember that it includes the watered-down Windows 10 S. However, Microsoft is allowing Surface Laptop owners to upgrade to Windows 10 Pro for free until the end of 2017. Clearly, Microsoft is trying to compete with Chromebooks here. When you view these Windows 10 S devices as school-friendly machines, they make a lot of sense. Having a light version of Windows that only lets (theoretically) safe and approved apps installed thanks to the Windows Store is perfect for student use. Whether these will take some of the market share from Chromebooks, though, remains in the air. Everyone knows Chrome and Google Search, but most are ambivalent towards Edge and Bing. OneDrive will serve the same purpose as Google Drive on Chromebooks, and you could say that Windows Store apps are equivalent to Chrome apps since they let you expand the base OS functionality. Chromebooks are already perfect devices for the elderly 5 Reasons Chromebooks are the Perfect Computer For an Elderly Person 5 Reasons Chromebooks are the Perfect Computer For an Elderly Person It's your granddad's birthday — but what should you buy him? You could get him socks (again), some gardening equipment, or perhaps a large bottle of whisky… Or you could buy him a Chromebook. Read More and anyone who wants a basic machine to browse the web — does Windows really need to adapt to fit this mold? Chromebooks work so well because you can do a surprising amount with them. Most run Android apps now All New Chromebooks Will Run Android Apps All New Chromebooks Will Run Android Apps Any new Chromebooks launched in 2017 and beyond will ship with access to the Google Play Store included as standard without the need for an update. Read More , bringing tons of extra functionality. You can also install Linux on them How to Install Linux on a Chromebook How to Install Linux on a Chromebook Do you need Skype on your Chromebook? Do you miss not having access to games through Steam? Are you pining to use VLC Media Player? Then start using Linux on your Chromebook. Read More to have access to a “full” OS when you need it. Windows 10 S doesn’t have either of these perks. Is Windows 10 S Worth It? For most people, then, it’s hard to get excited about Windows 10 S. The Windows Store is full of dead and scam apps How Dead Apps Are Drowning the Windows Store How Dead Apps Are Drowning the Windows Store Dead apps are everywhere in the Windows Store. Why are apps abandoned, how does it affect users, and how could Microsoft solve this dilemma? We analyze the sad state of the Windows Store. Read More , making it feel less like a pleasant place to find apps and more like a dangerous minefield you must navigate. And even decent apps, like Adobe Photoshop Express, pale in comparison to their true desktop counterparts. You can’t install essential software New PC? 15 Must-Have Windows Applications You Should Install First New PC? 15 Must-Have Windows Applications You Should Install First Got a new computer or just reinstalled Windows? These essential apps are must-have software for Windows 10, no matter what! Read More like Audacity, Paint.NET, CCleaner, or CrashPlan, severely limiting your options and productivity. Windows PCs, like Macs or Linux machines, are built for desktop software, not phone apps. If you’re looking for a laptop around the price point of these Windows 10 S machines, consider whether a Chromebook would be better for you. Using just Microsoft Edge and Store apps could be limiting even for basic computer users. The hardware here isn’t anything to get excited about, and the Surface Laptop is pretty but costs a lot of money for unimpressive specs and half an operating system. 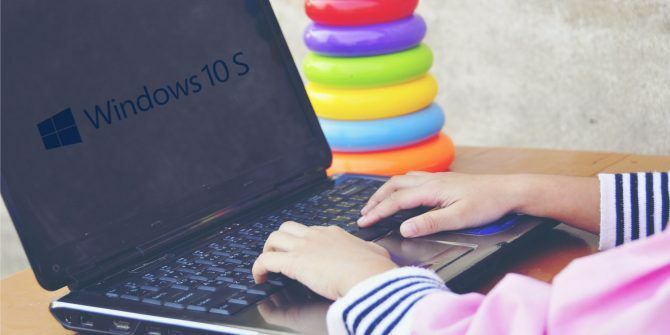 Windows 10 S could be a great development for education. But for the average user, the limits are too great to justify the slight savings. If you need a basic computer, get a Chromebook. If you need a full desktop environment, get a standard Windows machine. What do you think about Windows 10 S? Does this limited device appeal to you, especially compared to a Chromebook? Let us know if you’d consider this OS for your next laptop down in the comments! Explore more about: Chromebook, Microsoft Surface, Windows 10. Windows RT was genuinely useful but terribly presented in the marketplace. Microsoft keeps trying to make a premium, limited-use device. It needs to sell a locked-down $150 tablet with a perpetual MS Office license and leverage the one tool it really has over and above ChromeOS and Chromebooks in an educational setting. Windows 10 S is not the same as Windows RT. Win32 apps can be packaged for the Windows Store, and will install much as they would on regular versions of Windows. The problem is that UWP apps, like .NET apps before them, are limited, slow, and memory-hungry. Plus, Microsoft will take a 30% cut just like Apple and Google do (for non-free apps).